The report said the T spent $44 an hour of bus operation on maintenance; second was New York City’s $42 an hour. The Massachusetts Bay Transportation Authority in 2015 had the highest hourly bus maintenance costs among the nation’s 25 largest public transit agencies, according to a report by the Pioneer Institute, a fiscally conservative research group. The report, released Friday, found that the MBTA spent more than $44 an hour of bus operation on maintenance, surpassing New York City’s Metropolitan Transit Authority system, which spent about $42 an hour. Gregory Sullivan, the institute’s research director and a former state inspector general who wrote the report, said he hopes the findings will spur the T to seek more savings on bus maintenance, mainly by outsourcing the work. “Historically, they’ve been highly staffed and they’re not as productive as other agencies,” Sullivan said. 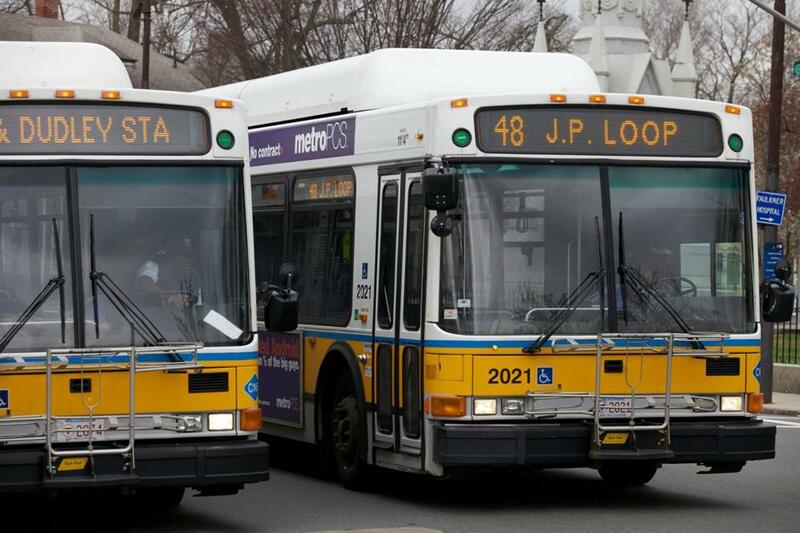 The report comes as the MBTA has proposed privatizing some of its garages and pursues collective bargaining negotiations with the labor group that represents its bus mechanics. A combination of outsourcing and driving down costs in union garages could save the MBTA an estimated $26 million in the next fiscal year, officials have said. The Pioneer Institute issued a similar report in 2013 that showed the MBTA paid twice as much for bus maintenance as other agencies. At the time, the T said the comparisons weren’t accurate because of the region’s harsh climate and road conditions, and work rules that differed among agencies. But under Governor Charlie Baker, MBTA leadership has been more accepting of such findings. Brian Shortsleeve, the MBTA’s acting general manager who was once on the board of the Pioneer Institute, has often noted the agency’s high bus maintenance costs. The report used the latest information from the National Transit Database, which collects self-reported data from the nation’s transit agencies. In the report, Sullivan said the MBTA could have saved $43.7 million in 2015 by lowering its hourly expenses to the average of five similar transit agencies, including Washington D.C., Miami-Dade, and Philadelphia. Sullivan said the agency would save more money by outsourcing all maintenance work, but said he supports a hybrid model, which the agency is pushing. The agency’s fiscal and management control board would likely need to approve such changes. A representative for Local 264, which represents bus mechanics, did not immediately return requests for comment.